The Irish reached their first District 3 semifinal thanks to Thursday's 13-10 win against Hempfield. HERSHEY - With the scoreboard at Hershey High School reading 0:00 behind him, York Catholic girls' lacrosse head coach Rob Linthicum huddled his team together and delivered one key message. “You just made history,” he said. He repeated himself to emphasize where this year’s team stood in York Catholic lacrosse lore. 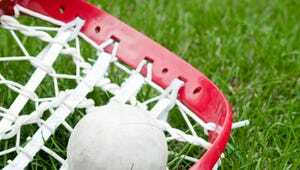 No York Catholic lacrosse team has ever accomplished what the Irish did on Thursday with a 13-10 win against Hempfield, pushing them into the district semifinals. Anna Linthicum scored twice in first two minutes, Lisa Casagrande added three first-half goals and it seemed early on that the top-ranked Irish would cruise past the Black Knights. But after York Catholic took a 7-1 lead, Hempfield started battling back. The Knights drew within two, 12-10, with less than three minutes left, but the Irish forced a key turnover in their own zone and Amanda Tufano sealed the 13-10 win with a goal in final seconds. A lot will be on the line when York Catholic returns to Hershey on Tuesday to take on No. 5 Exeter Township. A win would clinch the program’s first trip to states and a spot in the district finals, where they would have a chance to bring home the first district title for a York County girls’ lacrosse team.